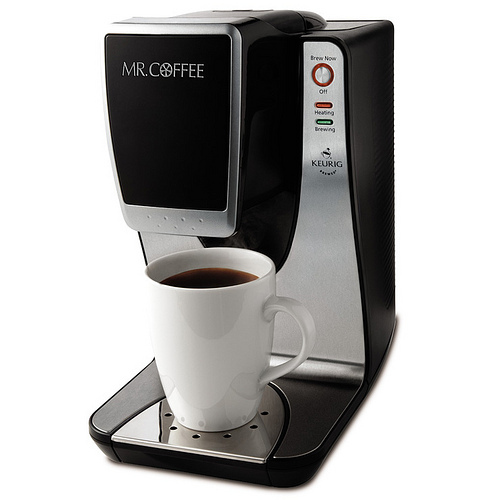 Foodista | Mr. Coffee Coffeemaker Giveaway! I can't even fathom beginning a morning without a cup of coffee, or at least, I don't want to. And after watching this video, it would seem that a lot of people feel the same. The folks at Mr. Coffee want to prevent these unfortunate situations from happening to you, so they've offered to give one lucky Foodista reader a brand new coffeemaker! To Enter: Just leave a comment below telling us how you take your morning cup of coffee! Then, we'll randomly select a winner and announce it tomorrow at 2pm PST! Good luck! I take my coffee with some soymilk in it, ok, lots of soymilk...or soy creamer! No sugar. Great giveaway! My wife and I both love our morning coffee with 2% organic milk and demerara sugar. I love coffee with half&amp;half and plenty of sugar. Oh! and lately with some crumbled candy cane bits on top. Little cream and a little sugar. Nice and simple.